Evidence shows nasal bacteria are a primary component in the spread of infection. Nozin® Nasal Sanitizer® antiseptic can help reduce the risk without antibiotics, improve quality of care & lower costs. A Nozin advisor is ready to help you. 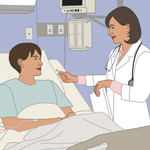 The most comprehensive program to help reduce Surgical Site Infections (SSI). Universal, safe, daily nasal decolonization is now possible. Safely replace MRSA CP isolation, lower infections and Reduce costs. 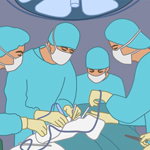 The most comprehensive program to help reduce Surgical Site Infections. 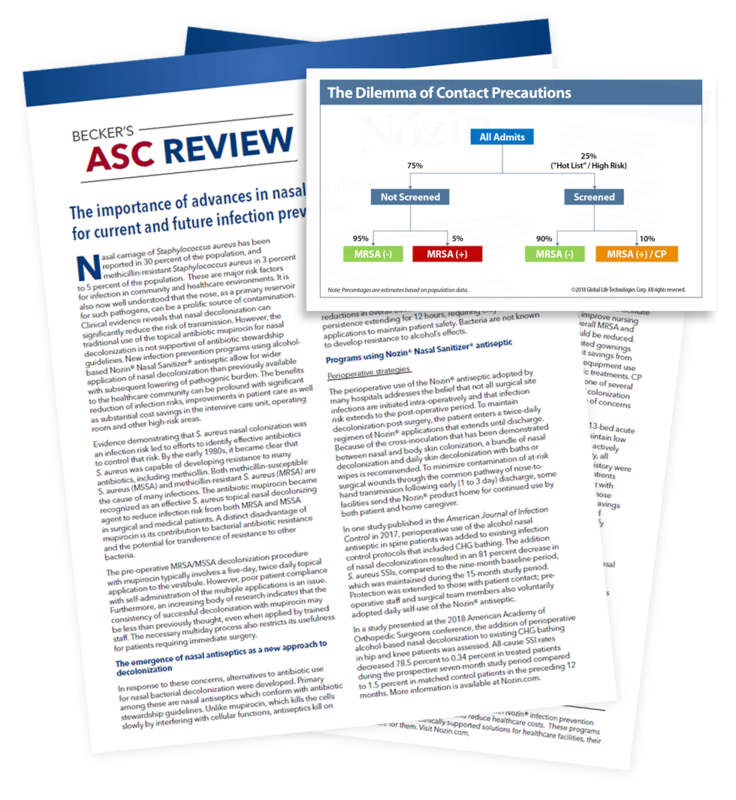 In patients with MRSA colonization, safely replace Contact Precautions. 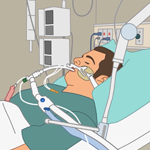 Health professionals are welcome to download the FREE executive brief on Nasal Decolonization. Evidence shows that nasal bacteria are a primary component in the spread of infection. Trusted by medical professionals everywhere. Safe, proven, fast-acting, pleasant to use, Nozin® Nasal Sanitizer® antiseptic is the new way to reduce nasal carriage without antibiotics. "We were open-minded and wanted to come up with a hypothesis to determine whether or not a low-cost intervention could reduce staph carriage…it worked," said Shaun Nguyen, M.D., about Nozin Nasal Sanitizer. "This is a low-cost intervention that potentially can impact patients' health in a significant way." Shaun Nguyen, M.D., principal investigator for a recent study on Nozin® Nasal Sanitizer® published in the American Journal Of Infection Control (August 2014). 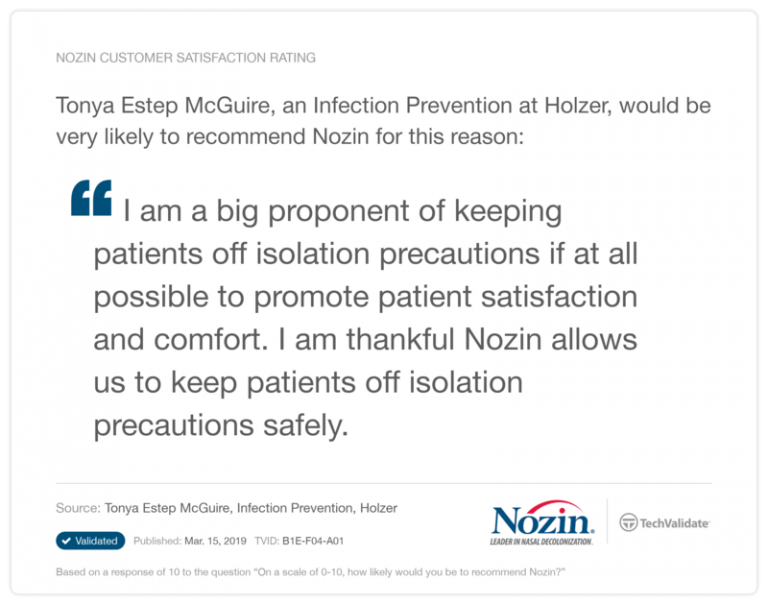 Nozin® Nasal Sanitizer® antiseptic reduces S. aureus and total bacteria carriage, suggesting usefulness as "a safe, effective and convenient alternative to antibiotic treatment."